The former world No. 1, who returned to action following a long period of career-threatening back injuries, completed an impressive comeback with an emotional victory at the season-ending Tour Championship. It was a position many, even Woods himself, thought he would never be in again. His remarkable resurgence has once again made Woods the hottest property in golf, but he admits he was not quite prepared to be playing so much late in the season and then competing in an eighth Ryder Cup. “I was not physically prepared to play that much golf at the end of the year,” Woods told reporters ahead of his Hero World Challenge tournament, which begins in the Bahamas Thursday. 7, began the year in promising fashion, finishing second in the False Par Championship in March before briefly leading the Open in July and coming second behind Brooks Koepka in the US PGA in August. He qualified for the WGC Invitational and the FedEx Cup end-of-season playoffs and played for seven out of nine weeks from early August. His crowning moment was a two-shot victory at September’s Tour Championship for his 80th PGA Tour victory and first since 2013. But he looked to be running on empty as he slumped to four losses in Team USA’s comprehensive Ryder Cup defeat in France a week later. “I took a significant break after the Ryder Cup, got away from it for a bit,” Woods said. “My training sessions have been good. I’ve leg getting a little bit stronger. Woods has so far only committed to play the Genesis Open at Riviera in February and the four majors in 2019. 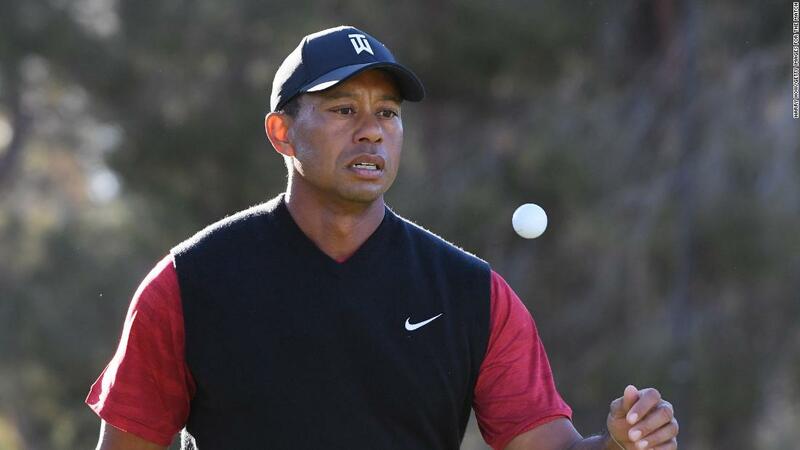 The Hero World Challenge, which Woods hosts every year to benefit the Tiger Woods Foundation, features just 18 top-ranked golfers – this year boasting four of the world’s top five.